Hillary Cheyenne Carver is suspected in a Fayetteville Sprint Store robbery. 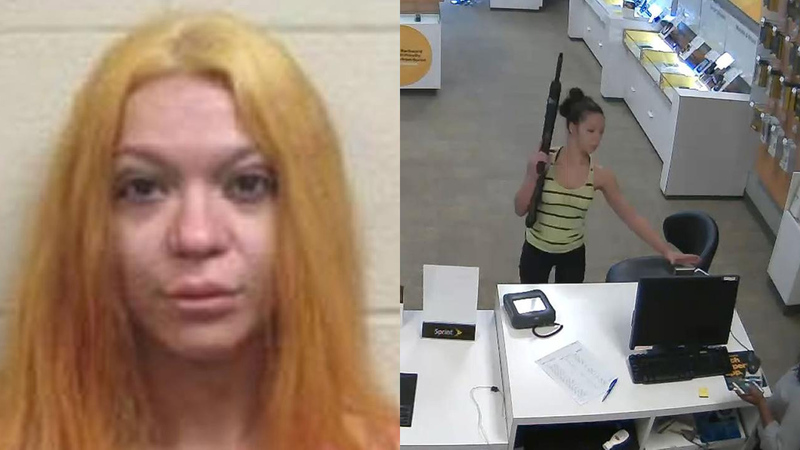 FAYETTEVILLE, North Carolina -- Detectives with the Fayetteville Police Department say they've identified a petite woman seen robbing a cell phone store with a large gun July 31. The holdup happened at a Sprint Store located at 7830 Good Middling Drive. Detective say after getting tips about the surveillance pictures, they've identified the robber as 23-year-old Hillary Cheyenne Carver of Lumberton. They say she should be considered armed and dangerous. They have warrants charging her with robbery with a dangerous weapon and possession of stolen goods. Detectives are encouraging family and friends of Carver to have her to turn herself into law enforcement.